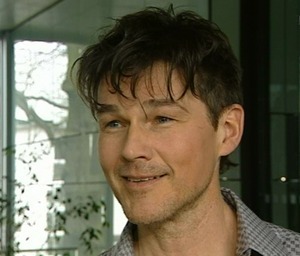 Morten has now done around 20 various media interviews in Germany this week. Today he was a guest on NDR2 Radio in Hamburg, where he was met by a few contest winners. Host Elke Wiswedel wanted to know if he’s able to connect with a live audience on a personal level when he’s doing concerts. “What I would say is that I am not an entertainer. I am an engager. That is what is interesting for me, and it’s what attracts me to music. I’m not a sing and dance man, in a way. So it is intimate, it’s personal, it becomes private very quickly. And I am fascinated by this. So I do think that it is true that there is a personal level of contact, kind of with everyone there. But you can’t distinguish it”, Morten said. There is a photo gallery from the radio visit at ndr.de, along with a short audio clip from the interview. While at the radio station, he was also interviewed by TV news show Brisant. A video clip of the report can be seen here. Afterwards, he decided to visit the Planten un Blomen botanical garden in Hamburg, with newspaper BILD. A short interview is now up on BILD‘s website. The single “Scared of Heights” was released in Germany today. The music video can now be seen in high quality on YouTube, and don’t forget to order the CD single from amazon.de. Magne has been chosen to be this year’s artist at the annual Peer Gynt culture festival at Vinstra in Norway, along with fellow artist Håvard Vikhagen, local newspaper Gudbrandsdølen Dagningen reports. Their joint exhibition is open from 2 – 11 August, and both Magne and Håvard Vikhagen will attend the festival. 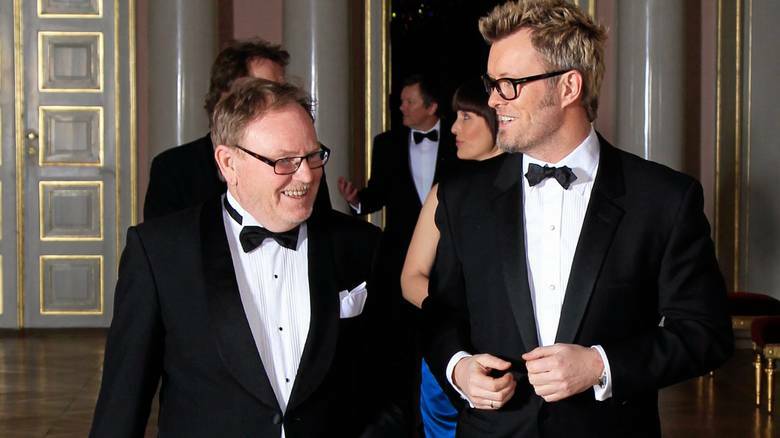 In 1987 Magne received the prestigious Peer Gynt Award together with a-ha. “It’s nice to be able to reconnect with a former Peer Gynt Award recipient”, festival director Marit Lien says. 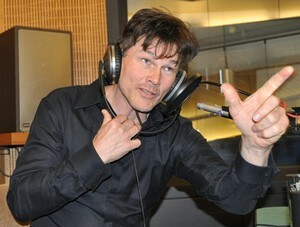 Morten continued the radio interviews in Germany yesterday. In the morning he was a guest on FFH Radio in Bad Vilbel, where he was interviewed by Felix Moese. There are some photos from the visit on ffh.de. Outside the studio he was met by a group of fans. There is a gallery of photos on Flickr, taken by Silvia. Later in the day he appeared on RPR1 Radio in Ludwigshafen with host Julian Krafftzig, where he was joined in the studio by two fans who had won meet and greet tickets. Audio clips and pictures from the RPR1 interview can be found at rpr1.de. 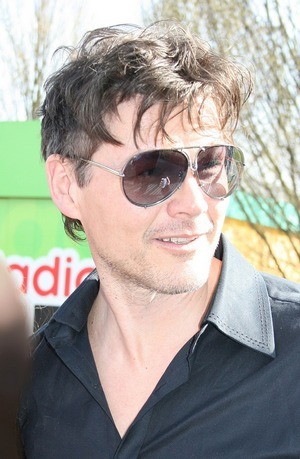 Morten is in Germany this week to promote his new solo album and yesterday he was interviewed by two shows on the radio station SWR1 Baden-Württemberg, with hosts Stefanie Anhalt and Günter Schneidewind. “I was committed 100% to a-ha while we were together, and so I didn’t really plan for anything. There wasn’t any time. And I didn’t want to separate myself into two halves – one planning for other things. So I was 100% committed in a-ha, committing to this final year as well. But when I went off stage in December 2010, I took a very needed break for a little while. But I knew instinctively that I would be doing more. There were a lot of things that I felt like doing. But when you do music, you do what you believe in, you know. I’ve done that with a-ha, always, and you reach for the things you believe in. 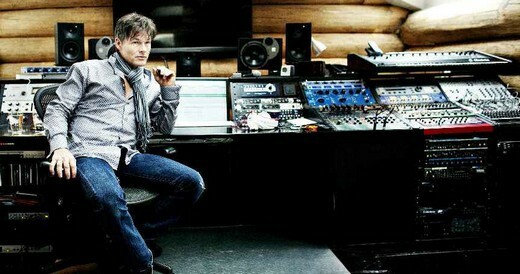 And that’s what I do now”, Morten told Stefanie Anhalt in the first interview. There’s a photo gallery and audio clips from both interviews on swr.de. A new TV-appearance has also been announced; on April 11th he is scheduled to be a guest on Thomas Gottschalk’s talkshow “Gottschalk Live” on ARD, which is broadcast from Berlin. The “Scared of Heights” 2-track CD single will be released in Germany on Friday this week. It includes a “Stockholm Version” of the song and can be ordered from amazon.de. The CD single is also available at amazon.co.uk, but with a later release date. Morten was one of the artists performing in front of 2000 people at Telenor Arena in Oslo yesterday, as part of a corporate event. Other artists performing included Jahn Teigen, Vamp, Rita Eriksen and Vinni. This according to an update posted on Twitter by Rita Eriksen. 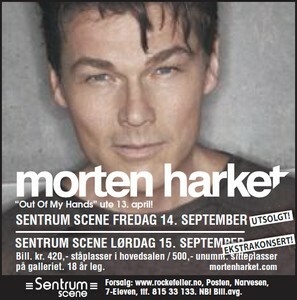 Meanwhile, the music video for Morten’s international single “Scared of Heights” premiered today. It can be seen on Universal Germany’s website. According to a-ha.com the video was shot in Berlin, directed by Wolf Gresenz and produced by Mutter & Vater Filmproduktion. And amazon.de has now posted 30-second samples of all songs on the album. You can hear them here. Magne made it tricky for himself on The Voice last night, when he decided to put Monika Blomeid and Tini Flaat Mykland, probably the two best talents on his team, up against each other in a duel. A video clip of their performance of Sinead O’Connor’s “Nothing Compares 2 U” can be seen at TV2.no. “The two of you are lightyears ahead of so many others. And each of you manage to own the song in your own special way. I’m not able to point out any mistakes in the performance. You go straight to my heart, both of you. I get completely blown away each time I listen to you, including tonight”, Magne said after the performance. “Setting two such strong talents as Tini and Monika up against each other in a duel might seem strange to most people, and I guess it may not be the most strategic move, but remember that I’m also trying to create unique musical moments. I also feel that there should be a certain balance, in that both talents can have a real chance of actually winning the duels”, he told VG afterwards. “Magne is so dedicated and excited. He gives me so much inspiration and motivation. It’s almost unreal. Being backed by Magne Furuholmen – it almost feels strange to say it out loud”, Monika said in a VG interview. “Monika’s voice is a force of nature. She is definitely capable of winning the whole contest”, Magne said in the same interview. But even though Tini is out of the contest, Magne wants to continue working with her as well. “Yes, it’s true that Tini and me have been in contact after she left The Voice. Martin Terefe and myself really want to make an album with her. She is a singing talent we both strongly believe in, regardless of this contest, and we are hoping to help her release her full potential”, Magne told VG. “We have had a meeting and are in a dialogue, that’s all I can say. I’m really humbled that he wants to keep working with me, and he seems to mean what he says. It’s really fun”, Tini herself says. Martin Terefe – Magne’s Apparatjik bandmate and longtime collaborator – appeared on The Voice last Friday as Magne’s handpicked assistant, as the contest moved onto the so-called battle phase. Assistants to the three other mentors are American drummer David Heilman (Sondre), Barbadian singer Shontelle (Hanne) and Norwegian songwriter Thom Hell (Yosef). 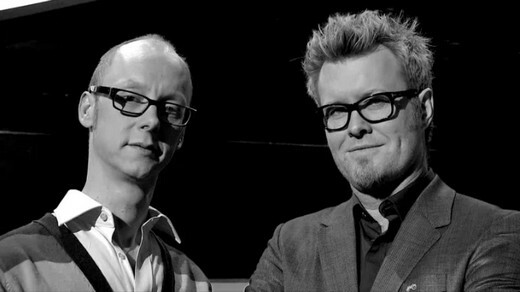 The first two talents on Magne’s team to compete were Knut Anders Sørum and Marius Beck. 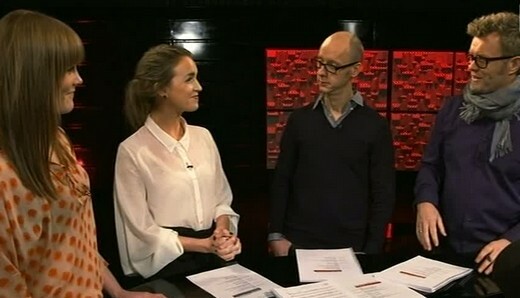 Their performance of Keane’s “Bend and Break” can be seen at TV2.no. The battle phase episodes, which were taped at the end of January, will continue for five more weeks. After that, it’s time for the live shows, which start on April 27th. Tickets for the live shows seem to be available now from Billettservice. Magne and twenty other Norwegians have been interviewed and photographed for an upcoming book called Rom 13, which will be published in April. Oslo Red Cross and the new hotel The Thief, which opens at Tjuvholmen next year, are behind the book project. According to Dagbladet, the people portrayed in the book will talk about important choices they have made in their lives. The journalist Jonas Forsang has done the interviews. In addition to the book, there will also be a photo exhibition. All the photos have been taken by Marcel Leliënhof in a specially made hotel room that has been set up at Tjuvholmen’s Shed 13 warehouse. The proceeds will go to the Red Cross project Nettverk Etter Soning, which provides support for people who have been released from prison.